With over 100 years of experience in the industry, our team of experts at Best Buy Windows & Siding offers the highest quality home improvement products and services in Arlington, TX. The community has trusted our services for decades now. 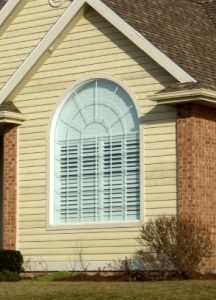 We’ve been selling and installing custom replacement windows, vinyl siding in Arlington, and professionally designed patio covers for over 30 years in the area. Our team takes pride in the work we deliver to each and every customer because we use only the very best products and have a laser-like focus on exceptional customer service. At Best Buy Windows and Siding, our team of experienced professionals offers their expert advice and service to ensure you receive the best options for your home improvement tasks. Whether you seek higher energy efficiency or better insulation in your home through windows replacement in Arlington, our team will work tirelessly to satisfy your needs. Arlington is the third-largest city in the Dallas-Fort Worth Metroplex and, aside from its many urban adventure spots, is also the sports hub of North Texas. The Texas Rangers and Dallas Cowboys both have stadiums in Arlington, and the city is known as the home of Six Flags Over Texas as well as Six Flags Hurricane Harbor. It also houses a large University of Texas branch campus. If you’re prepared to take the next step in home improvement with vinyl siding in Arlington, give us a call today at 214-736-9971 for a free home consultation. If you would prefer, you can sign up for one of our free window, siding, or patio Buyer’s Guides. We here at Best Buy Windows and Siding are waiting for your call today! We promise our windows replacement in Arlington is the best!